Over the years, I have stepped foot in hundreds of wineries, tasting rooms, or co-ops in Washington State. Each time, the person working at the tasting room truly makes or breaks the experience and can even impact perceptions of the wines. Here are three people who have stood out for positively influencing my experiences over the years. 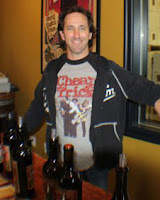 The first person I think of is Steve Wells of Gramercy Cellars. Appropriately titled "Director of Awesome" on the winery’s website, Steve is one of those people you are instantly drawn to. He was a sommelier in New York City before moving to Walla Walla to dive into the other end of the wine business. Steve is knowledgeable but is also down to earth and seems as comfortable sharing stories about family and friends as he is describing the leather, white pepper or citrus in the glass. His polished dome and bearded face remind me of a white Isaac Hayes - and he's cool enough to probably pull off his own rendition of "Shaft". 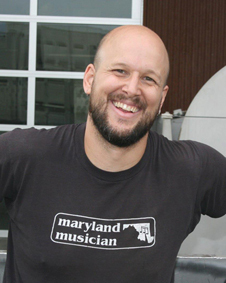 While some tasting rooms in Washington will have a dedicated tasting room manager like Steve, others will feature the winemaker as co-host like Trey Busch of Sleight of Hand Cellars. When I first visited the winery, I heard something in the background I've never heard in a tasting room before. When I asked what was on the turntable - yes you read that correct – and was informed, "It's Scorpions Saturday!" I knew I was in the right place. Busch allows people to thumb through crate after crate of vinyl and make playlist recommendations. I can't remember what we chose I was so taken in. During the visit, we discussed Busch’s album collection nearly as much as the wines he was pouring. Of course, if you want to meet Busch, make sure to check Pearl Jam's touring schedule before planning a trip to Sleight of Hand (he is possibly their biggest fan). 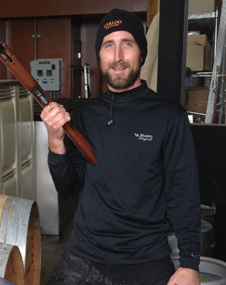 Another winemaker who frequently runs the tasting room and makes quite an impression is Ryan Crane of Kerloo Cellars. The first time I met Crane, my friends and I unintentionally walked in five minutes after closing to a full tasting room (we thought they closed an hour later). When we offered to return the following day, Crane balked and rather than hurrying us through the lineup, he even subsequently asked, "Would you like to try the first wine I made?" We were enchanted. Of course, when visiting a winery, it’s very much about the wine, but it’s also about making the tasting experience memorable. Personally, at the best wineries, I don't need a photo to remind me of the visit as the person at the tasting room leaves as much of a lasting impression as the wines. Thank you so much for posting this article. My wife and I are retail professionals, and we often comment on how poorly some wineries perform when selecting their tasting room staff. To put years into perfecting a great product, only to have the first/last impression someone has of the winery, be a rude staff member. There is a well known winery here in the Willamette Valley, that has the reputation of providing a terrible tasting room experience. Everyone knows about, everyone jokes about it, and you have to wonder if this is the way they want their brand represented. You couldn't have picked three nicer guys to write about. We've been fans for a long time, and over the years have come to think of them as friends. Our friends still talk about Keith at SOH taking all eight of us on a barrel tasting that was amazing. That same day, Steve hosted us at Gramercy and opened up bottles just for our group. Some members of our group purchased more than they normally would for the simple reason that they had such a great time. These guys are one of the reasons that we keep coming back to Walla Walla, and will continue to. They make us feel welcome, which as a manager, is when you know that someone has been successful. Thanks again, and keep up the great work!!! I think it just goes to show you that selling wine is hardly about the quality of the wine and more about the label and the pizzaz the tasting room sales people can put to you! Great write-up! A few more than always seem to make me feel so welcome and appreciated: David and Linda Lowe at Wineglass Cellars in Zillah, Tim and Paige Stevens at Stevens in Woodinville, Leslie Brown at Ellanelle Winery in Milton-Freewater....there are many, and they are so important! While your post seems to focus mostly on Eastern Washington wineries, I have personally spent a significant amount of time in Woodinville and have visited almost all of the wineries/tasting rooms there over the last few years (some of them many times over). The one thing I can say is the tasting room experience is just about as important to me as the wine itself when determining whether or not I will leave with a bottle, or walk out and just pay the tasting fee. Things have changed over the past few years and I have found there is a lot of good wine to be had in Washington, and with many of the winemakers getting progressively better at what they do, the gap between the good winemakers and the great winemakers has been closing rapidly (Barrage, Flying Dreams, Darby and Michael Florentino are a few examples of those who I feel have gone from good to great in this relatively short period of time). Given all this, I still run into some tasting room assistants and managers who feel it is more important to close right on time (or early, so they can go out on their dates, etc.) regardless of whether interested, and paying customers want to spend a few minutes sampling their wines and possibly giving them some commissions before they leave for the evening. Excellent write-up!Thank you! Connecting with people goes a long way in the wine business. In my experience, a positive and memorable experience in a tasting room can sometimes turn a two star wine into a four star wine. Janelle and I have been traveling the wine country for over 40 years. Without any doubt, the tasting staff is the most important factor in a visitors tasting room experience. Great article! Jim Scolastio, I think I was at that well-known OR winery a couple of weeks ago... Well known name, one of the biggest wineries in OR, long history... and the woman behind the counter was a complete idiot. She couldn't pronounce half of the names (and joked about it), had to bring in someone from the back office to answer questions and couldn't remember where we were in the tasting lineup (we were the only ones in the tasting room). Sadly, I was on a mission to buy some of their top wines and this doofus made a good commission off of me anyway. On the other hand, I also visited my favorite OR winery, but this time their wines were not that good (served too young). But the woman behind the counter was so knowledgeable and gracious, I bought a bottle anyway. I'm an avid wine taster and have been treated in every possible way by tasting room staff. Their behavior really makes a difference in the experience, and I usually send people back to those wineries when asked for a recommendation. This was a good article and an interesting topic. I have to say that the tasting room can make or break a winery visit. My wife and I have walked out on some tasting rooms due to poor personnel. We have also been turned off to the point of not making certain purchases. One in OR winery (well known and does bubbles) was 100% more concerned with closing at 5PM than they were about taking 5 or 10 more minutes and securing what would have been a 1 to 2 case sale. Conversely we have found hidden gems that we still buy from due to the fantastic experience we had and continue to have each time we go. Sure the wine matters, but in a crowded field, the consumer has choices and tasting room experiences influence those purchases. Here's a POV from the other side of the counter. We NEVER hurry visitors out the door in order to close quickly. Our reviewers single us out for our hospitality. But... most people who show up at our tasting room at 4:45 for a full tasting flight are either looking for a place to hang out before their dinner reservation at the popular restaurant down the street, or have already bought their quota of wine for the day. It's unusual for the late shift to buy a bottle, let alone a case. Typically we've worked a long day with no lunch (usually after a seven day work week) and are desperate to go home. But that's not the experience we want to give you, so we put on a smile and do our best to be welcoming. And of course some people do return, tell their friends, etc. so in the long run it helps us to be flexible about hours. And we LIKE talking about and sharing our wines. But we do wish the folks who are just killing time would be a little more sensitive, particularly when owner-winemakers (as opposed to paid staff) are manning the tasting room. Anonymous May 2nd, great perspective! Thanks for the comment.